African music is enormously popular on the Caribbean coast of Colombia. Of all the African records, why is this one arguably the most influential? I know, it must be the cover art. 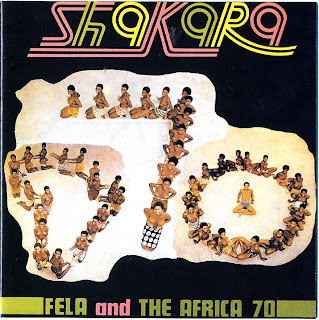 But seriously, Afro-Colombians love Shakara by Fela Kuti as they love no other African song. You'll hear two pieces of evidence, in the form of two very different-sounding Colombian covers of the song, along with the original version that inspired them. And to keep the fun coming I'll have an additional set of Fela covers for you on today's show, including two by artists from right here in Richmond Virginia USA. All that and more this week on Global A Go-Go.